Miniature lanterns with hangers, in white, add a warm glow to a beach or nautical theme wedding. 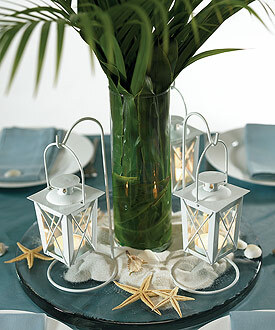 Combine with sea shells, sand and starfish for a centerpiece that brings the beach inside. Sold in a set of 2 with hangers. ©2019 SuperGiftPlace. All rights reserved. Powered by Shoppe Pro.